Staircase workout is the latest fitness fad, which propagates weight loss by taking the stairs and avoiding elevators. It is believed that 10 minutes of climbing stairs a day is about 500 kilo-joules, which is enough to burn off that chocolate pastry. If you have tried getting back to your summer body after a gastronomic winter season but failed, it’s time to ditch the elevators in favor of the stairs at work. Stair climbing workout is the hottest trend that is steadily being inculcated into competitive sports in several countries, like Australia. A staircase workout is a pragmatic way to improve overall health and fitness. The routine works on cardiovascular fitness thereby reducing the risk of heart attacks. The good old staircase facilitates weight loss as it enables higher calorie burn on a daily basis. For example, a 150-lb. person will burn about 544 calories just walking up the stairs for an hour. 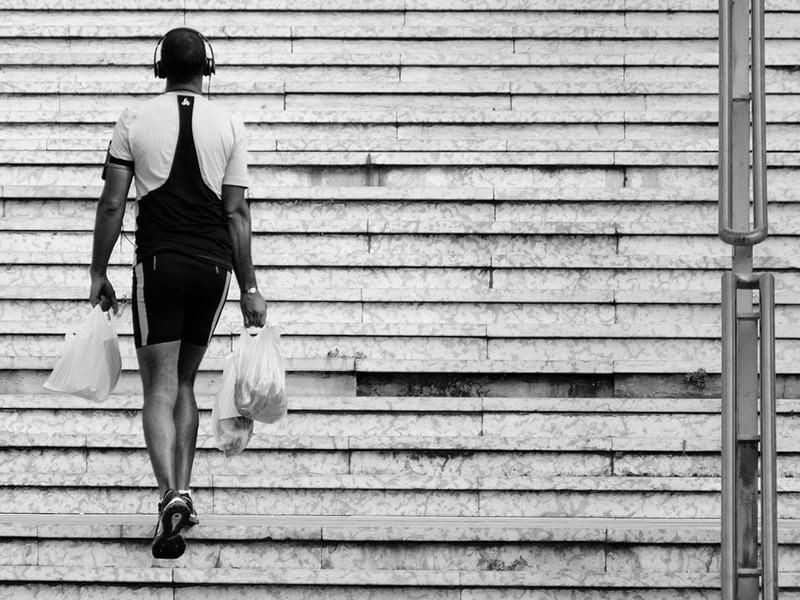 According to a published report, the sport of stair climbing, which involves running up stairs, burns nearly twice as many calories as sports like volleyball and baseball. Since ascending the stairs require going against gravity, the body has to put in extra effort leading to greater calorie loss. As per a study, one can burn more calories for every minute that you climb the stairs than when you jog. Since this workout requires the person to climb up the stairs (in order to climb back down), it helps to tone up the calf muscles, quadriceps, hamstrings and the core body. The best part is the anytime-anywhere policy; in order to do this workout you will not have to shell out extra cash for that gym membership. One can do it anywhere, anytime at their convenience, be it at home before bedtime or while returning from the workplace or even during grocery shopping. Apart from the benefit of losing weight and being fit, exercising releases hormones called endorphin aka the happy hormones, which means whenever you take the stairs you can also improve your mood and rejuvenate your mind. Stair climbing can be a very strenuous activity. Before engaging in stair climbing, consult your physician. Failure to do so could result in health complications, serious injury or even death. Going down the stairs can make you very sore and can be hard on your joints. Those with weak and troubled knees should stay away.